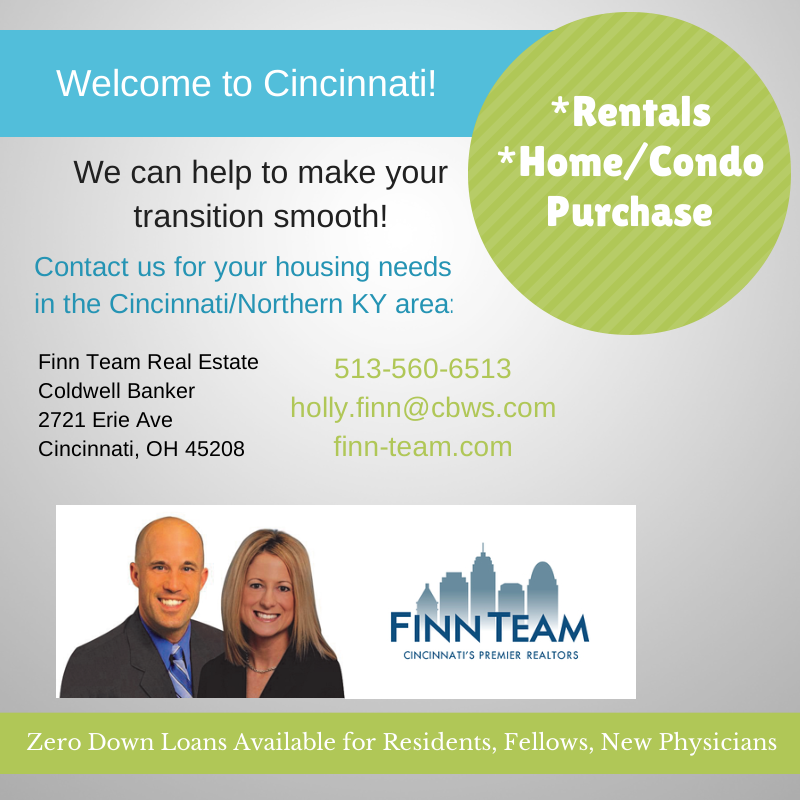 Are you a Resident, Fellow, or New Physician moving to the Cincinnati area? We are a Real Estate Team that can help simplify your move, so that you can get started on the job right away. Whether you are looking for a place to rent or considering purchasing a home or condominium, we can help! Are you currently in residency or set to begin new residency? You may be able to get financing up to 100% of the home value on a new purchase, up to $500,000 or 95% up to $1 million. We specialize in neighborhoods convenient to University Hospital, Cincinnati Children’s Hospital, Christ Hospital, and others in the Clifton area.